I love graham cracker crust. I always put it into my yogurt or ice cream. And the cheesecake fantasy at Cold Stone with the graham cracker crust mixed in is pure heaven to me. But a Nilla Wafer Crust? EVEN BETTER! 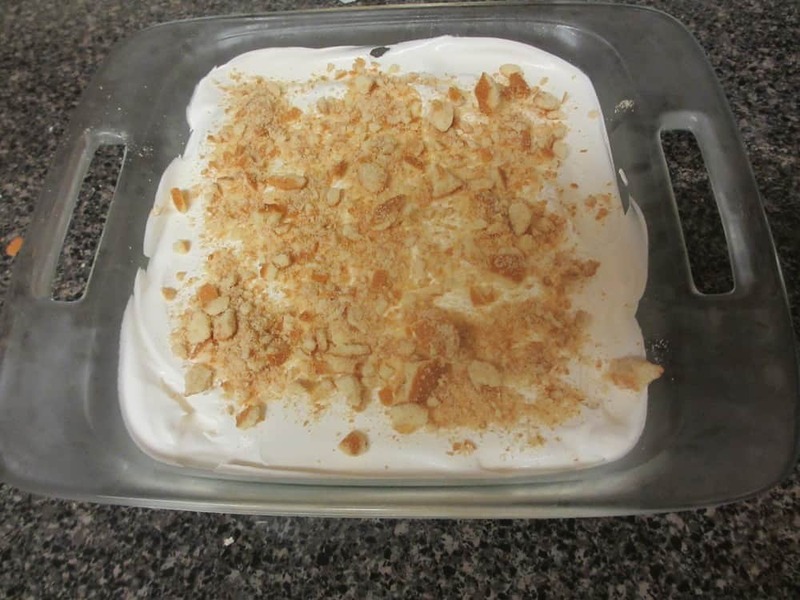 This dessert is so easy! And it is perfect for the summer time. It’s nice and cool and hits the spot! 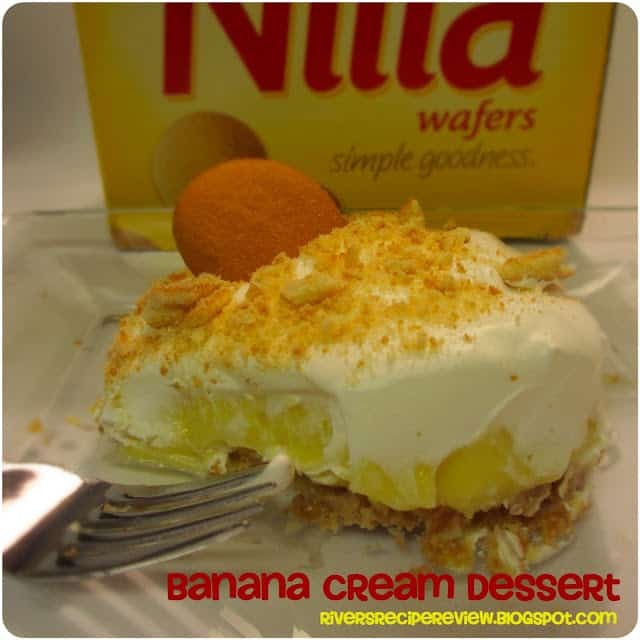 For all of the banana cream pie lovers out there, this is the dessert for you! Crush the Nilla Wafers. I put mine into a food chopper and that did the job great. You want the consistency to be pretty fine. Spray bottom of pan with cooking spray for easy removal. Add the melted butter to the crushed Nilla Wafers and press down into pan. 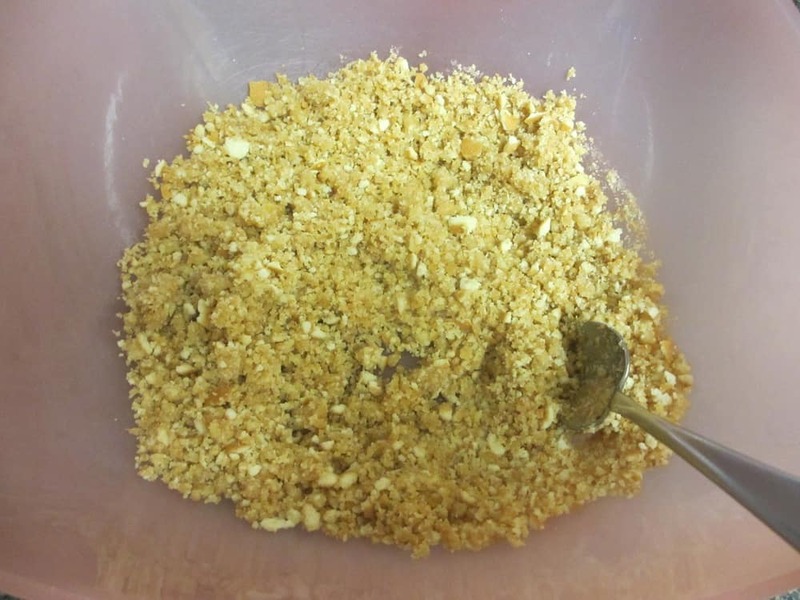 It may be a little crumbly but that’s ok because when chilled the crust becomes firm. 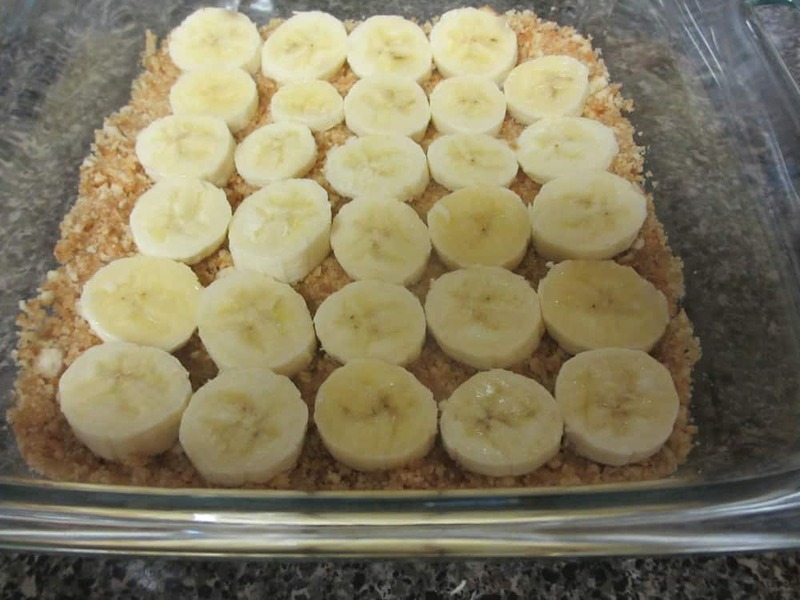 Chop up banana and make a layer on the bottom. Mix jello pudding according to directions and pour on the top. Let chill in fridge for about an hour. 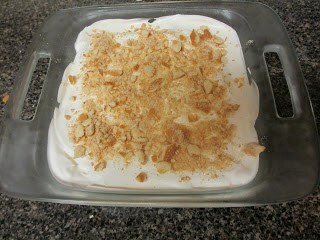 Put cool whip on top and ENJOY! This looks SO good.. I’ve been looking for a recipe to use all my bananas and I think this is it. Can’t wait to try! Yum! 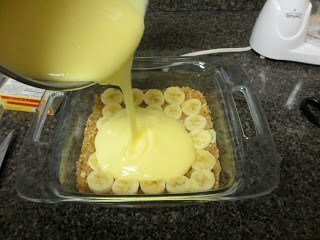 I love banana desserts so this is right up my alley.